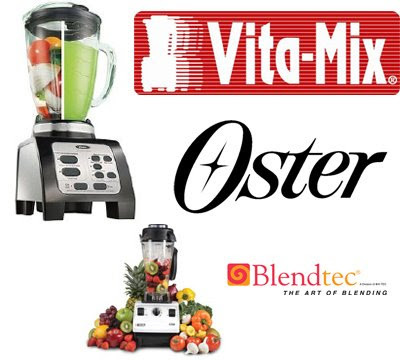 Blender Review: Vita-Mix, Blendtec vs. Oster Fusion. Free Shipping. Use this Vitamix link and get Free Shipping on a Vitamix! Buying a New Blender. Now! After a few days of unfulfilled smoothie cravings, I ran into a local department store and grabbed the best blender I could find on the shelf. There was no Blendtec or Vita-Mix on the shelf. The top of the line blender in the store was an Oster brand blender called the Fusion. The Oster Fusion is marketed as a dual purpose blender. For both frozen drinks and food-chop purposes. It cost me $80 retail, a welcoming price in comparison to the $400-$500+ Vita-Mix and Blendtec blenders. So, does this cheaper dual-purpose blender stand up to my rigorous blending standards? *Over 52 'kitchen tasks' in one. *Seven year high quality warranty. *Metal-to-metal (not rubber or plastic) container-to-base construction. *High performance, cool running motor, propels the blades. *Speed controls from 11mph to 240mph blending speeds! *New BPA-free container. Made from an all-new material developed this year by Eastman called Tritan™. *3 year blender warranty. Lifetime on blade. *Heavy Duty Glass jar. 6 cup capacity. *Pre-programmed smoothie vs. food chop settings. *1 Year limited warranty. Does not cover normal wear and tear. *cool optional Oster Milkshake blade. Power and Quality. When comparing blenders the big differences I find come in the category of power and quality. The Oster Fusion is the most powerful blender in its 'department store' class. Blenders in this $40-$60 range usually have around 400-450 watts. The Oster Fusion, at $80 retail, has an impressive 600 watts of blending power. However, for optimal power the price goes up. 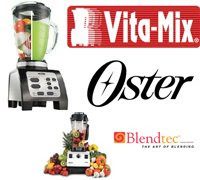 The Blendtec and Vita-mix blenders have 1380 and 1560 watts. Big differences. 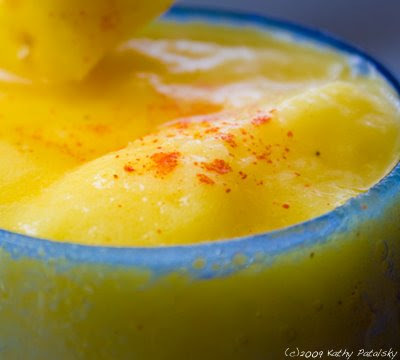 Smoothies: Awesome! Does the job and does it well. I love the pre-programmed features. All I do it press the button once and my smoothie is blended perfectly at the end of the cycle. I was a bit shocked at how easy this process was. Food Chop: I blended a roasted corn chowder soup on the food chop cycle and it was great. The power seemed a little duller than the Vita-Mix and Blendtec's I've used in the past. But with a few extra pulses, the job was done well. Cleaning: Easy to clean. I like the fact that I can still get a glass container. I'm not a huge fan of the plastic containers-although the new BPA free plastic containers sound like a very worthwhile upgrade in the Blendtec and vita-Mix blenders. Price: Well this is an obvious difference. I found the Oster Fusion online at Amazon for $70. I paid $80 retail. This is a fraction of the cost of the vita-Mix and Blendtec which start at around $400. What Blender to Buy? So the big question is: are you willing to pay a higher price for the better machine? And by better I mean better warranty, more power and a few more cool features and style/usability accents. If you are willing to invest in the top of the line high quality machines I suggest you buy a Blendtec or Vita-Mix. Both brands are fabulous. Although, the 7 year warranty with Vita-Mix really stands out for me. However, if you want almost equal results right now with a pretty-bad warranty and possibility that your machine will break or wear down in a year or two, get the Oster Fusion. At under $80 it really does an impressive job. With the Fusion, you can test out your smoothie and food-chop skills and decide if you want to invest in a higher quality model-eventually. ..in today's economy, you may want to buy the Fusion now and save up for a Blendtec or Vita-Mix. But if you are ready to dive into a $400 blender... You will be ensured a long few years of smoothie blending perfection. Hooray. ..oh and that Milkshake Blade for the Oster sounds like a must-buy. I need to try this. My Kitchen Gadgets. My big investment kitchen gadget is my pricey Super Angel juicer. I love it. So yes, I do go all out in some areas of healthy kitchen gadgets. I'll probably switch back over to a Blendtec or Vita-Mix when the Fusion dies. But who knows, if it holds up well I may surprise myself again. My smoothie this morning was fusion-licious.